The songs and stories of prehistoric humans are gone. All that remains of their culture is their art. It's the one thing that can bridge the vast, silent chasm of time between then and now. IDEAS contributor Neil Sandell introduces us to the French archaeologist Jean Clottes, a man who’s devoted his lifetime trying to decipher the rich, enigmatic world of cave art. The songs and stories of prehistoric humans are gone. All that remains of their culture is their art. It's the one thing that can bridge the vast, silent chasm of time between then and now. 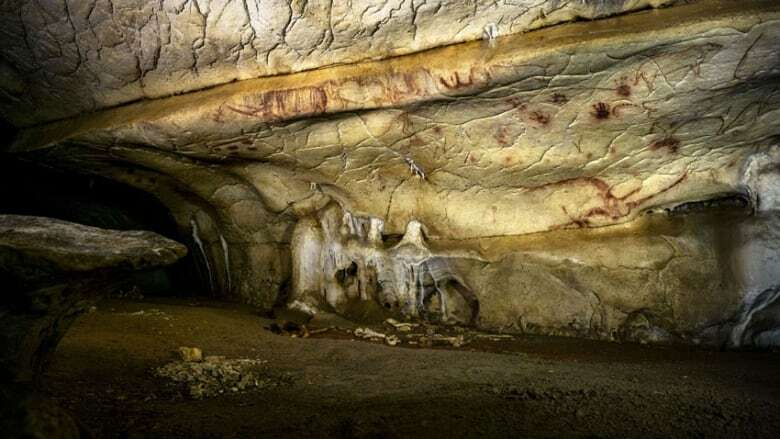 IDEAS contributor Neil Sandell introduces us to the French archaeologist Jean Clottes, a man who's devoted his lifetime trying to decipher the rich, enigmatic world of cave art. **This episode originally aired January 15, 2018. "Take everything off. Just your keep your coveralls and your bare skin because every centimetre counts." It was December 29,1994. Jean Clottes should have been spending Christmas with his family. But the day before, a colleague had called him with news, and an urgent request. Would he drive 400 kilometres and rendezvous with a spelunker named Jean-Marie Chauvet? As France's Inspector General for Archaeology, Clottes was the go-to expert for authenticating prehistoric art. And so it was that on a shivering day in the back country of the Ardèche, the spelunker was asking Clottes to disrobe. Eleven days earlier Chauvet and two companions, Eliette Brunel and Christian Hillaire, had been searching for new caves near Vallon Pont d'Arc. They noticed an updraft venting from some rocks. They cleared away some gravel. Then they they took turns chiseling through solid rock, slowly widening a seam they hoped would open onto a cave. In La Découverte de la Grotte Chauvet-Pont D'Arc, the trio describe the process. Wriggle into the passage, arms stretched forward. Chip at the rock. Clutch the rubble as the others dragged you by your heels back to the surface. They tunnelled an exhausting seven metres before they reached an opening. Brunel was the first to see two red marks painted on a wall. "They have been here!" she shouted. The marks were the least of what they found. Days later, Clottes shed his sweaters and squeezed his six-foot frame through the passage. When he emerged six hours later, he called his boss, the Minister of Culture. Clottes had been moved to tears inside the cave. "It's a big discovery," he told the Minister. "In my eyes, it's a discovery which is as big as Lascaux." The Lascaux cave in the Dordogne has been called the Sistine Chapel of prehistoric art. In this newly-discovered cave, there were over 400 painted animals.It was the first instance of prehistoric artists drawing lions, rhinoceros, and mammoths. One famous panels depicts lions, their eyes fixed, stalking bison. These were not rough images, but masterful works of art. It was a watershed moment for Jean Clottes. The paintings went to the very heart of the question that had driven his curiosity for decades. Why did prehistoric humans make art? 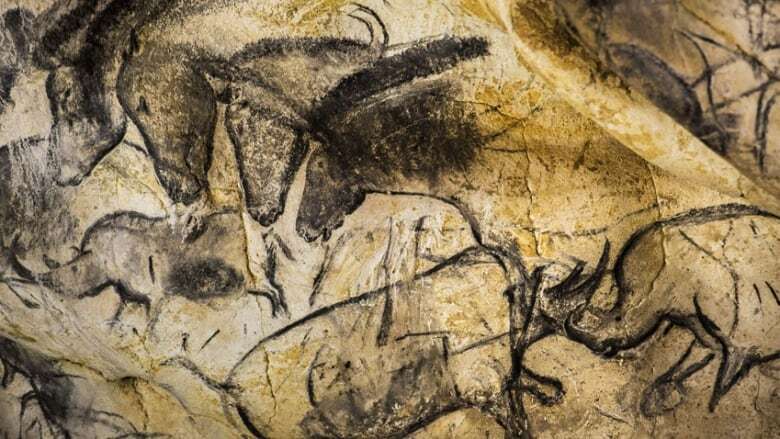 Radiocarbon dating later determined that the oldest paintings in the Chauvet cave were made 36,000 years ago, making them the oldest paintings ever found. Their sophistication upended what people thought about the very beginnings of art. Experts had theorized that early art was crude and evolved over the following millennia. The art in Chauvet exploded that theory. Jean Clottes and Neil Sandel. 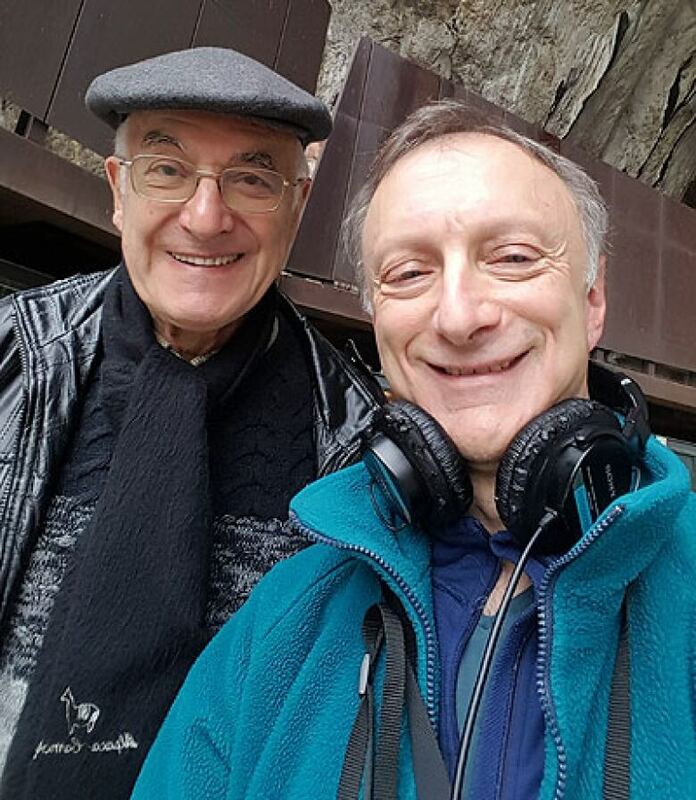 (Neil Sandel)In this episode, Neil Sandell introduces Jean Clottes' insights into the enigmatic world of cave paintings — works more connected to spiritual practice than to artistic expression. In a sense, cave art is the original "art installation". To grasp it, you need to experience it. And so Jean Clottes guides contributor Neil Sandell deep into the darkness of another cave, at Niaux, where he began his research so many years before. Jean Clottes is one of the world's leading authorities on prehistoric art. He has written and edited nearly two dozen books as well as 300 scientific articles. Among the most influential and controversial was Shamans of Prehistory, a book he wrote with the South African archaeologist David Lewis-Williams. They elaborated on a theory proposed in the 1950s, that cave art was somehow connected with shamanism. In 1996, Clottes won an international competition to lead the research team for the Chauvet cave. He was also featured in the Werner Herzog documentary about Chauvet, Cave of Forgotten Dreams. Shamans of Prehistory by Jean Clottes & David Lewis-Williams, Harry N. Abrams, 1998. What is Paleolithic Art? by Jean Clottes, University of Chicago Press, 2016. The Eternal Wheelby Parvus Decree. The Black Sun Spire by Parvus Decree. Between the Worlds by Parvus Decree. Still Missing by Scott Holmes. **This episode was produced by Neil Sandell and Greg Kelly.